You can listen to the episode by clicking the player above or clicking here to subscribe on iTunes. 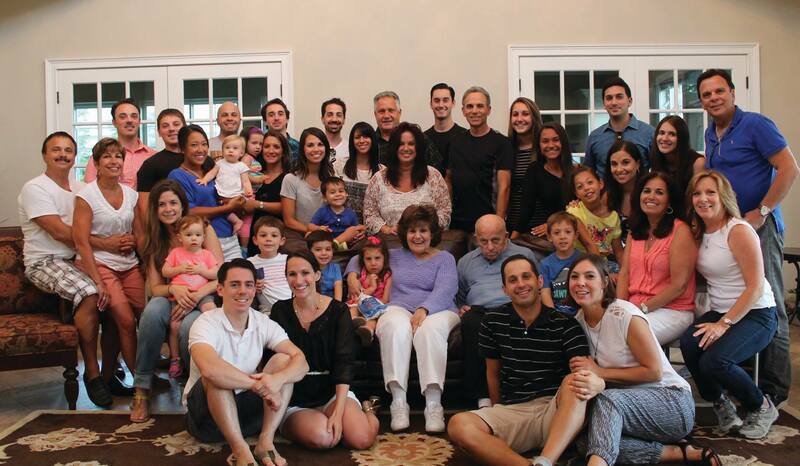 Have you ever wanted to research your Italian American Genealogy? 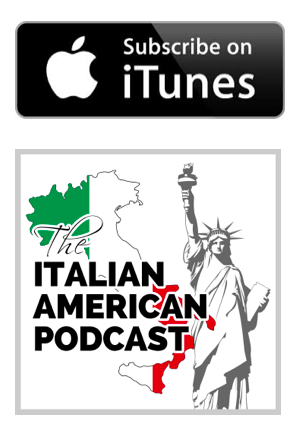 Well, in this episode, we interview Mary Tedesco, an Italian Genealogy expert on how to get started in researching your Italian Genealogy. A professional genealogist, speaker, and author. Host and Genealogist on the PBS TV series “Genealogy Roadshow” (seasons 2 and 3) as well as the Founder of ORIGINS ITALY. Fluent in Italian and travels often to Italy to conduct client genealogical research and visit family. The co-author of Tracing Your Italian Ancestors an 84-page Italian research guide published by Moorshead Magazines. Holds a Bachelor of Arts in Mathematics from Boston University and a Certificate in Genealogical Research from Boston University’s Center for Professional Education. In addition to her Italian ancestry (Calabria, Trentino-Alto Adige, and Tuscany) on her father’s side, she also has deep American roots (German, Irish, Danish & English) on her mother’s side and is a proud member of the Daughters of the American Revolution. Mary is a member of a number of local and national genealogical societies. She can be contacted at www.originsitaly.com. What are your ancestral towns in Italy? The names of our ancestors as far back as they can remember. To tell you stories about their parents and their grandparents. What years relatives came to the USA from Italy and what years they were naturalized. For any documentation they might have, especially birth certificates, marriage certificates, and naturalization certificates, death records, etc. The ancestral town is a critical element to your Italian Genealogy research. Note: One of the keys to researching your Italian American Genealogy is figuring out the proper Italian first names. For example, your ancestor may have come over as Salvatore, but after immigrating to the USA, he was called Sal or Sam. You can write a letter, email or even make a phone call to your ancestral town in Italy. You can request civil birth, marriage and death records from Italy. Civil records in Italy are housed at the Ufficio Stato Civile (Civil Records Office) in your ancestral town(s). You can find contact information for the Uffiicio Stato Civile in your ancestral town by Googling “Ufficio Stato Civile [name of your Italian ancestral town].” You can send either a letter of good old fashion snail mail request. It’s preferable to write the request in Italian. Be courteous since many Italian officials are extremely busy. You can continue to work your way backwards, from grandparents to great grandparents, and so on. Utilize friends or family that might be in Italy and willing to visit the Comune. Consider visiting the Church in your ancestral towns if/when possible. Work hard to outline the family tree/structure so that you can start to fill in details. After you’ve exhausted the civil and ecclesiastical records in your ancestral town, you might also consult notary research or land records, which may be more time consuming to review. Also try to find local history books for your ancestral town so you can start to jump into the shoes of your ancestors. You want more than names and dates, you want to experience their life. You can try writing to the addresses you find in the white pages. Include your email address, mailing address, and maybe even your Facebook profile URL. If you speak Italian, you might consider calling them to see if there might be an ancestral connection. Perhaps they may even want to have an espresso next time your in your ancestral town in Italy! If you do not speak Italian, consider having a friend or family member who speaks the language call them. If you are in your ancestral town, definitely visit the main square, go into a café, and mention your last name and that you are looking for relatives. 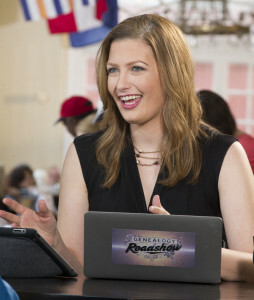 Mary and the PBS team are currently filming episodes coast-to-coast for GENEALOGY ROADSHOW season three. The third season includes great Italian American stories and premieres May 17, 2016 on PBS with a diverse cast of participants from cities around the country, including Boston, Providence, Miami, Houston, Los Angeles and Albuquerque. Be sure to tune in. Please share the show if you enjoyed it through Facebook or Twitter using hashtag #GenealogyPBS and visit genealogyroadshow.org for more info. OriginsItaly.com – Mary Tedesco’s Italian Genealogy research company, which helps people find in-depth information on their Italian American ancestors. GeneologyRoadshow.org – Genealogy Roadshow is a PBS television series that features participants who want to explore unverified genealogical claims passed down through family history, which may (or may not) connect them to an event or a historical figure.